The 47 members of the surface transportation authorization conference committee have entered week three of negotiations. Extensive staff level discussions have been held and, while differences still exist, many parts of the bill have been agreed on by various members. Sen. Barbara Boxer (D-CA) expressed optimism about the ability to reach an agreement before the deadline. As schools close for the summer and families begin planning trips, the first question for many families is: where will we go? The recent APTA 2012 "Travel Like a Local" Summer Travel Survey finds that 104 million Americans are planning a trip to the city, nearly one-third of the population. 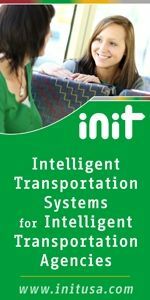 Fifty-seven percent of those intend to use public transportation on their trip; that represents 62 million citizens hopping on the bus or rails to make their vacation a little easier. Only 10 days until the APTA Rail Conference begins in Dallas, TX. Spaces are filling quickly and you won't want to miss the host tours or the products and services showcase! Cities on the coasts are well known for being accessible and friendly to residents without a car, but many cities commonly associated with sprawling metropolitan areas are beginning to embrace car-free lifestyles. Dallas is leading the way on this front. The Uptown community is walkable, commutable, and livable and shows that small communities can grow in the biggest of cities. In a Politico opinion piece, the case for high-speed rail is discussed, and how it is the answer to saving the nation more than $100 billion per year in lost time, productivity, and energy. This is especially vital in densely populated regions like the Northeast Corridor. Moving goods and services is a daily occurrence for rail providers across Texas. They are facing an expected increased need to move items by rail following the expansion of the Panama Canal. Rail entities are being invited to join a working group with the Texas DOT to focus on how the expansion will impact rail travel across the state.